Introducing New Event Every Wednesday!! Hatha Yoga- Restore and reactivate awareness through resensitization of the body. A gentle tantric/ practice open to all age groups and backgrounds. Silent Sitting "Vipassana"- Witnessing breathing as the most ancient technique to awareness. Hatha Yoga- (A universal restorative level meant for all age groups and backgrounds, followed by deep-still meditation. OSHO Dynamic Meditation- An active bioenergetic meditation. Please enter from the back door as restaurant will be closed. 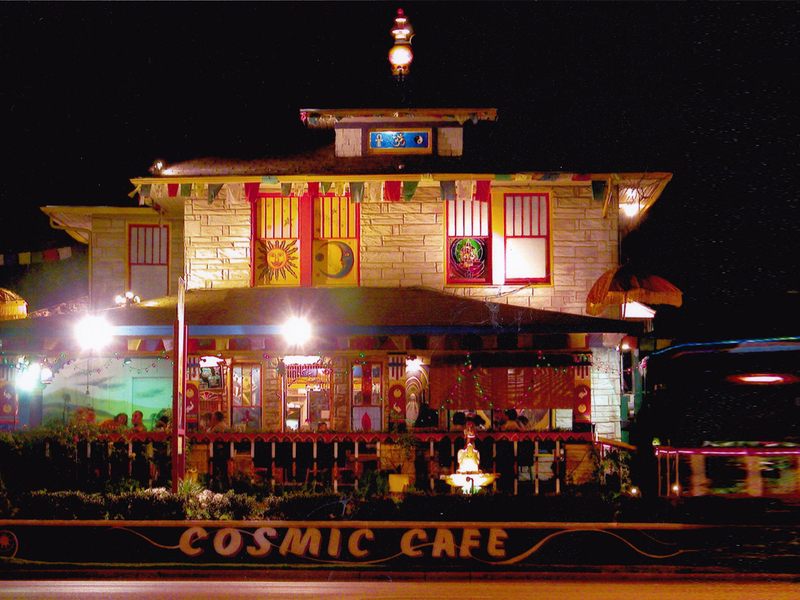 Sign-up to receive e-mails of Cosmic Cafe's activities & music events.